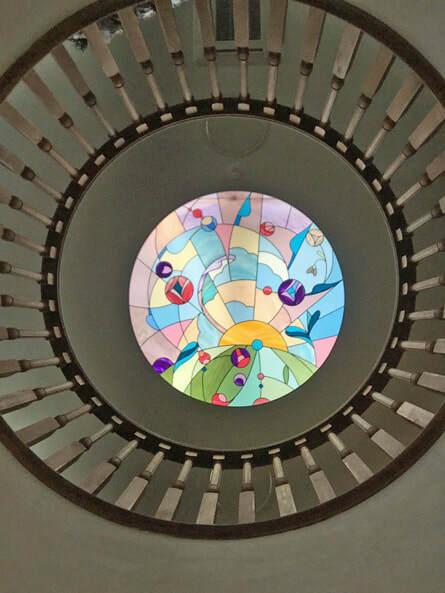 This design, approximately 3 metres in diameter, was installed in the suspended ceiling of a listed building in Winchester during its conversation to a family jewellery shop, Jeremy France & Co. The technique is adapted from modern acrylic materials, not the traditional mouth-blown glass of Sophie's other projects.. The window is in memory of a member of staff. The image evokes landscape, sweeping skies and rich jewel-like colours scattered around a rising sun of hope.